Moon's Harvest Bath and Body Shop Review #Valentine's Day Gift Guide! Moon's Harvest Bath and Body Shop will blow your mind! Moon's Harvest Bath and Body Shop is your one stop shop for all things BATH, BODY AND JUST GREAT SCENTS! They have the best bath bombs I think I have ever smelled! They have so many amazing bath and body treats that it would be hard to tell you about them all! We were able to try the whipped soy body souffle, an assortment of bath bombs (very large), bath melts, the moon struck bubble bar and the every body loves chocolate shower lotion bar. 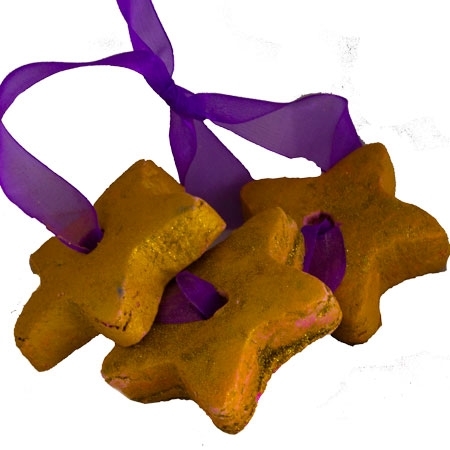 Each treat was special in it's own way but as most of my fans know I LOVE BATH BOMBS! My favorite items from Moon's Harvest Bath and Body Shop were the bath bombs they have so many great flavors. The large bath bomb I tried was amazing. It filled the tub with an amazing smell and color. It left my skin feeling moisturized, silky, soft and smooth. Check out the video below of our giant bath bomb! It's a love/hate relationship between you and the sweets. Fill your hearts desire with caramelized sugar crystals, creamy vanilla, whip, cedar and Tonka bean. Patchouli, lavender, coriander, and then freshened with bergamot and mandarin. This fragrance is very sweet and is 11 0z. bath bomb. The bath melts we received came in a 6 pack! They come in a set of 6 Valentine's Day Bath Melts. These ultra concentrated cocoa butter bath melts will create skin softening water and amazing aromas. The bath melts were a close favorite! I think the giant size of the bath bomb just beat them out in my book by just a little bit. As for scent the bath melts truly were a delight to my senses and left my skin feeling tingly and melted all the tenseness from my body! I loved the bright colors and happiness Moon's Harvest Bath and Body Works puts into their bath products! All of their treats put me in a happy and just truly blissful state! The Moonstruck Bubble Bar had to be my next favorite! I loved the glitter and the star shape. It lasted so long and was great for many baths! I loved the scent and the softness it left on my skin after I dried off. It smells like bright red currants, cassis, and red strawberries with tart lemon juice; mixed with warm vanilla, sweet rose, oak moss and musk. A unique fragrance that is not per fumy or sweet. Very clean smelling. The Every Body Loves Chocolate Lotion Bar was a unique treat that really looks good enough to eat! This would be perfect for a Valentine's Day gift. If you throw in a bath bomb or a 6 pack bath melt that special someone is sure to enjoy the gift! Every Body NEEDS Chocolate!! This bar contains cocoa powder which contains caffeine which has been known to have many topical benefits such as anti inflammatory & antioxidants. You will fall in love with the potent fragrance blend of dark chocolates, caramelized sugars, sweet syrups, confections galore and ripe red berries blended in a sweet vanilla custard. I loved how it left my skin feeling revitalized! I saved the For the Love of Souffle whipped soy body soufflé for last because it is for after the bath. It is soft, super moisturizing, delightfully silky and smooth! It lasts for hours and you are still soft after taking a night time shower and waking up the next morning! It comes in many different scents that are the same as are offered in the bath bombs more or less. Thick, rich, creamy and dreamy! It's a creamy blend of rich butters and soy whipped to just the right consistency, to go on smooth and lock in moisture all day! Their Soufflé is made from scratch, and they control the goodness that goes into it. And let me tell you from experience it is good! I really hope to get to try their candle tarts, body spray, body scrub and their 'Fair'y Lights! Moon's Harvest Bath and Body wants to give you a chance to win their wonderful products as well. One fan will win a sampler similar or exactly like the one I tried. I can guarantee that you'll love anything you get from Moon's Harvest. Everything has exceeded my expectations and the price is reasonable. I love Moons Harvest :) I have never been dissappointed! I am addicted to moons harvest ! Everything is amazing. I love everything at moons harvest. The best company I have tried Not just because the products are so great but also the customer service can't be beat! 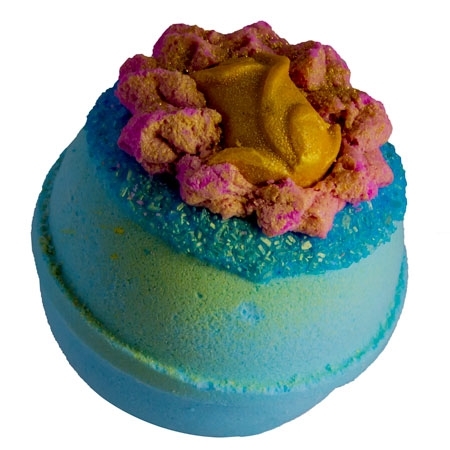 Moon's Harvest is awesome on bath bombs! Best bath bombs. 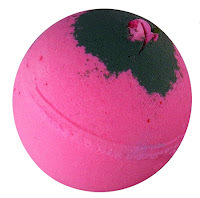 this company has my full loyalty for variety and quality of product as well as wonderful customer service if you want consistently wonderful bath bombs, http://www.moonsharvest.com/default.asp. Moons Harvest has all my loyalty in the world for consistently amazing quality and products as well as an outstanding variety.